Casual and elegant, this mesh outfit is composed by blouse and skirt. Every tone of the outfit has a hud to change the look of the blouse. You can choose between: Laced Opaque, laced see thru or plain opaque. In the black pack instead there is a hud also for the skirts, as you will see below. 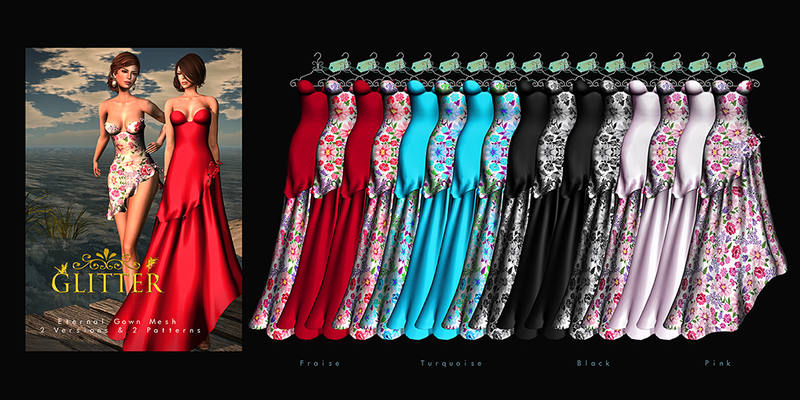 Actually is at mainstore but it has been the exclusive for SWANK, June round.